ABAKADDE abasukka 350 mu disitulikiti y’e Kayunga bagudde mu bintu, gavumenti ebongedde ssente obukadde 20 kw’ezo zeegabira abakadde buli mwezi. Akulira enteekateeka eno e Kayunga, Collins Kafeero yagambye nti ku mulundi guno buli mukadde bamuwadde 50,000/- nga za myezi ebiri okuli ogwa July ne August. Kafeero yagambye nti omulundi ogwasooka baagaba ssente obukadde obusukka mu 40 eri abakadde 418 era nga baasooka kubagabira 100,000/- buli muntu nga za myezi ena nga kati babanja emyezi mukaaga ku mwaka guno. You see them and then you don’t see them. I didn’t notice them for a long while until my friend PK told me about them. They are yesterday’s civil servants, authorities’ managers and parastatal bureaucrats. They ruled the roost yesterday but have been laid to waste by the vagaries of nature and living an urban unpensioned life. PK told me they used to live in government houses in Bugolobi, Nakasero, and Kololo. They drove around in government vehicles, and travelled to ‘outside’ countries’ regularly. They were the baby boomers. And they cared for their children. Took them to Budo or Gayaza, and other like schools. But times change. We got structural adjustment, downsizing and restructuring. They also grew old and retired. The bottom line is they run out of an income and maneuvering space. They had managed to buy off the government car and residence at giveaway prices. The car was almost free, but the house had that small matter of a loan with Housing Finance Bank Limited. They soon run into a money cul-de-sac and sold out. Some moved back to the village. Others moved to the ‘New Kampala’ at Kisaasi, Naalya, and Namugongo. From there they visit the city once in a while to check with the bank if the daughters sent some money or if that little pension from the Public Service is still being paid. You know them from their look – a pained and surprised hollowness in the eyes. That life dealt them lemons and they were not able to make lemonade. But mostly you know them from yesterday’s fashion. They hang on to their double-breasted coat, the turn up trousers and the odd suspenders. These, ladies and gentlemen, are the ‘new poor’. They exist quietly, largely living on the fringes, in a large (usually) unfinished house, with an old analog TV, an empty refrigerator, and a hardly usable car in the garage. They are not part of the mainstream local community, because they are shunned for ‘being educated’ and loathed for being different. These ladies and gentlemen, are our parents, the rock stars of yesteryears. How did our old folks come to such a pass? First they invested their life savings in their children. This was a wise move, because like their parents before, they hoped that their children would have a better life. If the children had a better life, they would probably act as their old age insurance, or also go on to produce better and stronger progeny. Such progeny would be better equipped to live in a changing world, demanding of new skills and abilities. Many ‘lost their deposits’. For those who ‘lost their deposits’, life has been bleak in the twilight years. The children probably did go off to school alright, but then went on to live abroad and forgot about this nether world. Or, as has happened in most cases, the children went on to graduate and join the queues of unemployed youth. So instead of them laying the golden egg, they continue to be a burden to the old folks, who are now unemployed and without a pension. There are lessons to learn here and we can use them to model a better future. One is that, anyone who works in the formal sector (including the civil service) should be part of a mandatory retirement contributory scheme. The current public service pension scheme is as dead as a dodo. Two, that pension scheme needs to be managed more professionally, outside the ambit of the civil service. Three, because we have better healthcare and are prone to living longer, these old folks need to be reskilled and retooled out of formal employment. Otherwise they would never want to leave, knowing what awaits them this side of the divide. 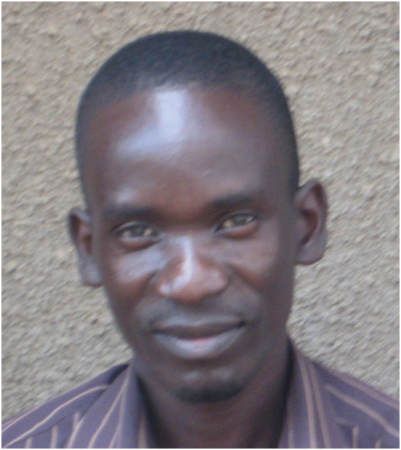 Samuel Sejjaaka is the country team leader at Abacus Business College. Dozens of top civil servants, including two permanent secretaries, a principal private secretary to President Museveni, and several presidential advisors, have been struck off the government payroll. The affected civil servants, who number 9,000 in total, are now required to report to the ministry of public service between August 15 and August 26 for validation of their particulars. Among the affected top civil servants are the permanent secretary in the ministry of Agriculture, Animal Industry and Fisheries, Vincent Rubarema Regwizangoga; the permanent secretary in the ministry of Lands, Housing and Urban Development, David Gabindadde-Musoke, the principal private secretary to President Museveni, Mary Amajo and the NRM vice chairperson for western Uganda Maj Gen Matayo Kyaligonza. Also struck off the payroll are 18 presidential advisors. They include former prime minister Kintu Musoke, the presidential advisor on AGOA Susan Muhwezi, former presidential pilot Maj Gen Joshua Masaba, and presidential advisor on Buganda Brig Kasirye Gwanga. Others are presidential advisor on media John Nagenda, and the former head of the Internal Security Organisation (ISO), Amos Mukumbi, former Buganda minister Robert Sebunya, and former Ntungamo LC V chairperson John Wycliffe Karazarwe. This lot includes a presidential advisor whose payroll name is Capt Oliver Zizinga but whose national ID carries the name Olive Nakimbugwe; another presidential advisor whose payroll has Dorah Rukare Semambo but her national ID has the name Graceful Namara Semambo. The former MP and military officer, James Kinobe, uses a different name, Jimmy William Lauben Kinobe on his national ID. The public service ministry says the ongoing exercise is part of an ongoing exercise to rid the government payroll of “ghosts,” which cost the government billions of shillings in monthly salary payments. In 2014, an audit by the auditor general found 8,000 ‘ghost employees’ on the government payroll, slightly less than the 9,000 found a year earlier. Two years ago, the government said that it was upgrading its salary payment system from the Integrated Personnel and Payroll System (IPPS) to Integrated Finance Management System (IFMS) in a bid to get rid of ghost employees. However, the new system, which required employees to be identified through unique “supplier numbers,” hit a snag when it also eliminated genuine public servants from the payroll in cases where they had names similar to those who had already been allotted supplier numbers. The confusion resulted in many public servants missing their salaries for several months. The government then moved to further clean up its payroll using national identity card data, which has now wiped out some of the top civil servants. 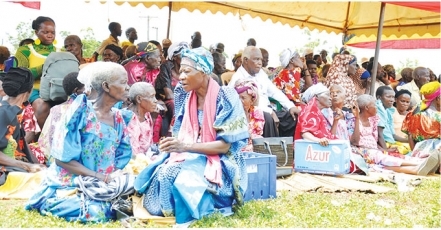 The Senior Citizens of Uganda are expecting their Minimal National Pension to start up at Kamuli district in Busoga Province. The slow speed-train carrying the government’s Social Assistance Grants for Empowerment (SAGE) on Monday started the next leg of its journey, with a launch in Kamuli district. SAGE, which has been on pilot basis in 15 districts since 2010, is being expanded to 40 more districts in the next five years, with 20 districts this financial year. Selected persons aged 65 years (60 for Karamoja sub-region) and above get an unconditional monthly grant of Shs 25,000. At least 100 older persons are selected per sub-county in the beneficiary districts. 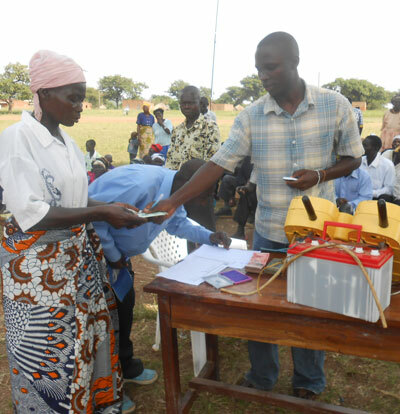 But during Monday’s launch in Kamuli, citizens questioned the criterion used to select the beneficiaries. The leader of older persons in Kamuli district, Lawrence Buteraba, criticised the ministry of gender, labour and social development for not involving the elected leaders in selecting SAGE recipients. Buteraba complained that identifying older persons based on the National ID register leaves many members out because the ID registration had loopholes; community leaders, on the other hand, know the most deserving people. “They [older persons] would prefer identifying them based on the national census as this went from door-to-door and covered almost every person,” Buteraba said. But gender minister Wilson Muruli Mukasa told The Observer that the ID registry was relied on “to avoid mistakes” because people registered expecting nothing except the ID. In his speech, Muruli had urged local governments in beneficiary areas to respect the memoranda of understanding they have signed with the government. “I call upon you to ensure that you fulfill your part of the bargain by ensuring that staff, time for supervision and other logistical support are committed to the programme,” the minister said. He added that older persons already on a government pension scheme would be excluded from the grants since they are already catered for by the consolidated fund. Parliament speaker Rebecca Kadaga, the chief guest, appealed to minister Muruli to ensure that the project covers all the sub-counties in the district. She pointed out that Magogo sub-county, which was formerly part of Kisozi, was not catered for. He added that as the economy grows, more people in each district would get the grants. Nnamukadde Nagawa ne bazzukulu be abaasimattuse omuliro. FAMIRE y'abantu 5 esimattuse okufiira mu muliro ogutannategeerekeka kwe guvudde bwe gukutte ennyumba ya Namwandu ekiro ekikeesezza leero ku Lwomukaaga ne basula wabweru. Abalala babadde bali mu bikujjuko by'okukuza Ssekukkulu nga Nnamukadde Nnamwandu Margret Nagawa (60) omutuuze w'e Bwamulamira mu ggombolola y'e Kammengo ne bazzukulu be bali mu maziga omuliro ogutamanyiddwa gye guvudde bwe gwakutte ennyumba yaabwe n'eyaka yonna n'ebintu byonna ne biggyiramu. Ennyumba ya Nagawa eyakutte omuliro. Nagawa yategeezezza nti omuliro guno tamanyi kwe gwavudde kubanga bazukkulu be baabadde bweru ku kifugi nga basumagidde, baabaggyewo buggya ng'emmanju etandise okugwamu olwomuliro ogwabadde gwesooza. Abazukulu abasimatuse okufiira mu muliro guno kuliko; Joseph Kabone myaka 3, Susan Nabasagala ne Zuula Namuddu 7.
mpewo ekiro kyonna wabula poliisi we yatuukidde ng'ennyumba yonna esanyeewo. Abamu ku badduukirize bateebereza nti wandibaawo omuntu w'ettima eyabazizza Nagawa ng'ali mu kiyungu n'akoleeza omuliro n'aguyisa mu ddirisa wadde nga poliisi y'e Kammengo ebiwakanyizza. Aduumira poliisi ye Kammengo, Yvonne Kyomuhendo ategezeza nti yandiba nga si muntu wa ttima eyateekedde ennyumba eno omuliro ng'abadduukirize bwe babadde bateebereza wabula wandibaawo omu ku bazzukulu ba Nagawa eyakoleezezza akataala ka munakutadooba n'akeerabira mu kisenge nga kaaka omuliro kwe gwavudde. Nagawa w'somera bino ali mu maziga era awanjagidde abazirakisa okubadduukira n'obuyambi nga engoye n'ebintu ebikozesebwa kuba tebasigazza kantu konna era tebamanyi waakutandikira. share her inspiring story with you. I was trained as a nurse in the 70s. I started working as a student in Nsambya and later posted to St. Anthony’s Hospital in Tororo. I came back to Mulago for further training. In 1987 I went to Nairobi National Hospital and that is when I learned about HOSPICE. I have been a palliative care nurse since 2003 when I finished a course in Palliative care. I work with a team of 3 in the Palliative Care Unit at Lira Hospital. In the 70s we lacked knowledge of palliative care. Sickle cell patients would cry as we watched and there was nothing we could do. People suffering burns would cry in agony as we watched. In the 70s, there were many women who came to Nsambya Hospital with advanced Cancer of the Cervix and they were in pain. They had a nasty smell and the other patients were avoiding them. We were trained nurses but we had nothing to do for these patients. When I came back from Kenya, I remember the year was 1998, my own brother in law was admitted at the cancer institute. He was in pain. Some people from Hospice Uganda used to visit him and when he came back home that is when I actually understood what palliative care means. My father had a terminal illness, he had a heart disease, diabetes and other illnesses but because I was trained in pain management he died a pain free death. Our family was happy because we did not let him suffer the pain. I am an early riser and the first thing in the morning is to put my day to God for guidance. When we are dealing with palliative care we don’t work on a first come first serve basis. First we assist those who are in severe pain. But we communicate to make sure that all patients are comfortable with this kind of arrangement. On a normally day we handle between 15 and 20 patients. One time I received a patient who had tetanus. The patient had stiff jaws and a stiff body. The patient was in severe pain. Networking is so good because, I phoned one of the doctors I know through the Palliative Care Association of Uganda (PCAU) and when I explained the scenario to Dr. Lydia, she told me to give the patient liquid morphine. In just minutes the pain was relived. When the drugs are there everything is ok. But, when the National Medical Store does not deliver the medicine, then we have a big challenge. However, I am the kind of person who makes noise – I make sure that the medicine is delivered on time. At the end of the day when I go back to my home I reflect and I feel happy that I have a change in the life of a person who is feeling hopeless or helpless and his or her family. I was the first person to be trained as a clinical palliative care nurse in Lira. As a nurse I had been seeing patients who had cancer, sickle cells and other diseases, the medicine they were receiving was not helping them. As a nurse, I saw people dying in pain everyday. So I said, I should be the person to help such patients. I have learned that words are actually healing and that sometimes I have to walk the extra mile to support those who need me. I have also learned that I am a candidate of palliative care so that makes me think more about the patients because all of us are candidates of palliative care. I enjoy my work, it gives me joy and happiness and at the end of the day I am satisfied with what I have done. I use a lot of reflection to help me understand how I can improve my time from time to time. I am a critical analyzer but most importantly I put myself in the shoes of my patients, if I was that patient, how would I want to be treated? 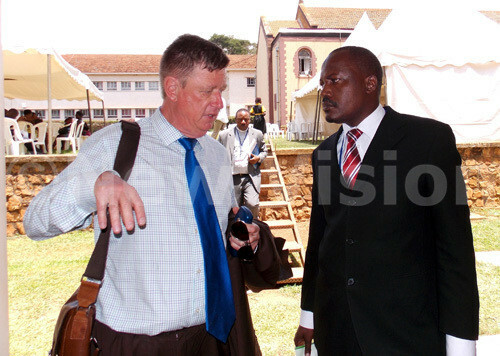 at the Anti-Corruption Court in Kampala yesterday. One of the suspects in the Shs165b pension case yesterday refunded $102,108 (about Shs362m) to government after pleading guilty to stealing the money meant to pay foreign pensioners. Appearing before the Anti-Corruption Court in Kampala yesterday, David Oloka, the former senior accounts assistant in the Ministry of Public Service, admitted to signing for the money from the ministry but never passed it on to the intended beneficiaries. Court presided over by Grade One Magistrate Susanne Okeny heard that former principal accountant in the pensions department Christopher Obey, who is currently on remand at Luzira prison in a related pension case, wrote a requisition letter that Oloka presented to Cairo International Bank for the payment of foreign pensioners. However, court heard that Oloka has never accounted for the money. He then accepted to refund the money on top of paying an additional $8,000 (about Shs28m) as fine for his actions. Court also fined Oloka Shs4.8m or spend one-year in prison. The magistrate accepted the refund under the plea bargain agreement, which was recently adopted by the Judiciary as a faster way of disposing of cases. Explaining the ruling, Ms Jane Okuo Kajuga, the spokesperson of the Directorate of Public Prosecutions, told Daily Monitor yesterday said Oloka’s lawyers approached the directorate, seeking negotiations on how to refund the money to the consolidate fund. According to Ms Kajuga, Oloka had accepted liability and that under the plea-bargain programme, the directorate asked him to refund all the money. at Makerere University on 16th/9/2015. The non-functioning of Government institutions are to blame for the high rate of social injustices and exclusion in the country, the National Planning Authority, boss, Dr. Joseph Muvawala has revealed. Muvawala noted that despite the limited resources to run various government programmes for better service delivery to the community, many institutions have not played their required roles for better implementation. He made the remarks while speaking at 2nd National Conference on Economic, Social and Cultural Rights at Makerere University Tuesday. It was held under theme; "Tackling Social Exclusion in Access to Scio-Economic Goods and Services for Sustainable Development". Muvawala noted that although the social and economic rights need financial capacity to be sustained, nothing can be achieved without considering the quality of institutions. "We can talk rights and budgets but without addressing the issue of the quality of institutions, it will be a waste of time because the budget is not elastic," he noted. He said there are a lot of inefficiencies in the system including governance issues. "How can you talk inclusion when you lose three days in a school in a week because of absenteeism? How can we talk inclusion when we lose these colossal sums of resources? How can we talk when our institutions cannot plan well and budget well?" he asked. He also noted that despite the country's high economic growth at about 7%, there is still a widening disparity in income. Muvawala said if the country wants to include, then there is need to implement better. He said the system at times responds slower to resources brought in. "So, it is not about money but how it can is utilized, it is not about saying UPE but is it quality education?," he said. In his keynote address, Justice Joham van der Westhuizen of the South African Constitutional Court, said courts should not shy away from making decisions because of political consequences. "Courts must have the validity to test the law but avoid. Constitution of laws cannot solve the problems but sets the idea and provides a starting point to these issues," he said. However, Westhuizen said nothing can be achieved without sound government systems. Irene Ovongi-Odida, the executive director FIDA, said social injustices are alarming especially among women, saying there is need to action. "We have a big problem in the country around social and economic justice. We see this in the increasing number of our clients and nature of cases," she noted. She said there is a weakness in the institutions of government in dealing with these issues in which leaves many poor people vulnerable. Prof. Joe Oloka-Onyango from Makerere University school of law, attributed the problem to the constitution assembly lawyers, who omitted the economic, social and cultural rights. Justice Prof. Lilian Tebatemwa-Ekirikubinza, of Court of Appeal, said it was timely to push for these rights in place. "Several ratifications have been made but not fully incorporated in the domestic laws. This is key to push for social justice to protect our people," she said in a speech read by Prof. D.J Bakibinga. Government has expanded the social protection grants to cover the elderly in 40 more districts in addition to the present 15 districts. The Minister of Gender, Labour and Social Development Muruli Mukasa disclosed this in Kampala while announcing the roll-out of the assistance, also known as the Senior Citizens Grant, in which the non-pension beneficiaries aged 65 and above receive a monthly pay of Shs 25,000. In 2010, government started the Expanding Social Protection Programme (ESP) including the Senior Citizens Grant (SCG) in 15 pilot districts in which older citizens were thought to be more vulnerable. For the last five years, the grant covered at least 123,153 beneficiaries in Kyenjonjo, Nebbi, Zombo, Kyegegwa, Kiboga, Kyankwnazi, Apac, Kole, Katakwi, Kaberamaido, Moroto, Napak, Nakapiripirit, Amudat and Yumbe districts. Funding for the grant came from development partners DFID, IrishAid and Unicef. The the programme was implemented by a lead agency under the watch of the Ministry of Gender, Labour and Social Development. For the next five years ending in 2021, the development partners have committed another Shs 290bn on condition that the government counter funds the programme. Minister Muruli-Mukasa said owing to the success of the senior citizens grant, government has agreed to counter fund it and roll it out to 40 other districts in a phased manner. 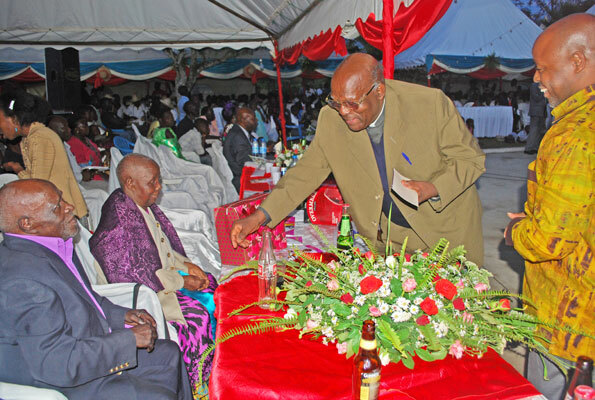 The minister said due to inadequacy of available funding, the roll out will initially target 100 oldest people per sub-county in the 40 districts after which other elders over 65 years will also be enrolled to give universal coverage. He said the exception is for beneficiaries in Karamoja whose age limit is 60. In the 15 pilot districts there is universal coverage of all people aged 65 and above. According to the minister, 20 new districts will start benefiting from the grant this financial year. They are Kaboong, Abim, Kotido, Koboko, Gulu, Pader, Agago, Lamwo, Amolatar and Paliisa Districts. Others are Amuria, Kween, Namayingo, Mayuge, Kamuli, Kayunga, Nakasongola, Kibaale, Kisoro and Bundibudgyo district. In financial year 2016/17 Kitgum, Nakaseke, Kabale, Bugiri and Amuru will come on board while Dokolo, Sembabule, Kasese, Sheema and Mubende will be brought in financial year 2017/18. The districts of Alebtong, Adjumani, Oyuke, Moyo and Kumi will join the beneficiaries club in 2018/19 financial year while Nwoya, Arua, Mbale, Tororo and Kubuku will join in 2019/20. By that time the total number of beneficiary districts would be 55 with an estimated 226,085 beneficiaries. Minister Muruli-Mukasa said all factors being constant beneficiaries in the 20 districts brought on board this financial year will start getting their monies in September. He said beneficiaries of the grant in the 15 pilot districts have cited some of the impacts as better nutrition, access to healthcare, improved savings, investments and productivity, booming local economies and increase in demand of goods and services. Stephen Kasaijja, the head of the Expanding Social Protection Programme, said the monthly stipend of Shs 25,000 remains unrealistic in view of the falling value of the shilling. The Uganda Shilling is hedged in value (pegged) on to the dollar of the USA. Human rights advocates have expressed concern of rising number of women prisoners in the country saying alternative measures should be employed to curb the situation. According to the survey released in Kampala titled: "Who are Women Prisoners?” the number of women prisoners detained in Prison cells from 2012 to 2014 has increased. The survey shows that in July 2012, there were 1,447 women prisoners, while 1,592 were incarcerated in 2013 and 1,879 imprisoned in 2014. "At least let government devise alternative measures of punishing women who commit offences by giving fines and community service," Dr. Livingstone Sewanyana the executive director of Foundation for Human Rights Foundation Initiative said. The human rights advocate was backed by an activist Sylvia Namubiru the executive director of Legal Aid Service Provider's Network who said there is need to explore sanctions such as caution, payment of fines and community service for women offenders. The activists pointed consequences of imprisoned women as loss of job, family breaking up, children abandoned on the street, stigmatization by family and community, abandonment by the husband and loss of home and others. The survey conducted by the Foundation of Human Rights Initiative in conjunction with Penal Reform International was aimed at finding how prison authorities were meeting specific needs of women prisoners and their children. The survey was carried out in Luzira Women's Prison, Kigo Women's Prison, Kasangati Prison, Butuntumula Prison, Jinja Women's Prison, Gulu Women's Prison, Masaka Prison, Nakasongola Prison and Kauga Prison. The executive director of Foundation for Human Rights Initiative, Livingstone Sewanyana (C), the programme officer Penal Reform International Olivia Rope (L) and the assistant registrar of High Court, Jamson Karemani addressing participants during the release of a survey on who are women prisoners in Uganda at Hotel Africana in Kampala. The survey indicates that of 78 convicted, 29 representing 57% were serving sentences of more than 10 years. In reference to specific needs of women prisoners, the survey notes that the latter lacked legal aid services, inadequate provision of health services and lack of vocational training. The report recommends that appropriate action should be taken to reduce the number of women in detention, address the issue of violence against women because 37% of the interviewee experienced domestic violence and to provide women prisoners with rehabilitation and reintegration services as well as strengthening of health care services to women prisoners. Olivia Rope, the programme officer of Renal Reform urged government to embrace the UN Bangkok rules on women offenders and prisoners. The rules give guidance to policy makers, legislators, sentencing authorities and prison staff to reduce unnecessary imprisonment of women and to meet specific needs of women who are imprisoned. Jamson Karemani, the assistant registrar of High court criminal division explained to activists that judicial officers have been encouraged to sentence women for community service. As for breastfeeding mothers he said prison authorities are advised to allow the mother to attend to her baby and only work for three hours. In attendance were government officials, prison authorities and members of civil society. About 600 employees of Kinyara Sugar Works have gone on strike over alleged poor working conditions at the factory. The sugarcane cutters and other casual labourers accused their bosses of ignoring their demands for better healthcare, wages and formalising their contracts. “They went on strike demanding recognition as permanent workers. They demanded that their wages be revised upwards and also wanted to be insured,” the Midwestern regional police commander, Mr Charles Ssebambulidde, said on Wednesday. The strike comes barely two weeks after 12 workers of the company died in a road accident on Masindi-Biiso-Wanseko road. The sit-down strike which reportedly started on Monday, turned violent on Wednesday as workers accused the factory of being reluctant to address their concerns. The workers blocked the Kinyara-Kabango road and set part of the sugarcane plantation on fire. Police estimated the burnt cane to be about four hectares. “They burnt some sugarcane but we deployed in the area to restore calm. We also addressed them and urged them to use lawful means to seek solutions to their grievances” Mr Ssebambulidde said. Kinyara sugar factory administrators were reluctant to discuss the strike with this newspaper. The factory’s public relations officer, Mr Jude Mubuuke, flatly refused to comment. Kinyara Sugar Works general manager Ramadasan Vekatraman told this newspaper on Thursday that he was willing to discuss the matter next week. “Text me your names and I will call you and we meet when I am in Kampala next week,” he said by telephone and hang up. Multiple sources at the factory said there was a crisis meeting on Wednesday between the administrators, security officials and the striking workers to defuse the tension. “Company officials said they have seen the concern of the workers and asked them to be patient since they have two months to end the season and temporarily close the factory for maintenance,” Mr Ssebambulidde, who attended the meeting, told Sunday Monitor. After formalising their contracts, the workers want the factory to insure them and remit their National Social Security Fund (NSSF) savings. Kinyara Sugar Works factory is about 20km west of Masindi Town. It is one of Uganda’s largest manufacturers of sugar, producing about 110,000 metric tonnes annually. It is run by Rai Group, a Mauritius-based investment group which owns 70 per cent shares. Pasikaaziya ne bazzukulu be 13. GAVUMENTI egabira abakadde shs 25,000/- buli mwezi ez’okwebeezaawo. Enkola eno eri mu disitulikiti zimu kubanga egendereddwaamu kugezesebwa oba eyinza okubunyizibwa mu ggwanga lyonna. AHMED MUKIIBI yakyaddeko mu disitulikiti y’e Lyantonde mu maka g’abakadde babiri era alaga engeri ssente gye bayinza okuziganyulwamu. Bwatyo wakati mu maziga, nnamukadde Paasikaziya Tindikyeyitira 78 bwe yannyanirizza mu maka ge ku kyalo Nkote mu muluka gw’e Wabusaana mu ggombolola y'e Kinuka mu disitulikiti y'e Lyantonde e Kabula. Embeera ya nnamukadde ono eyungula ezziga! Zaabadde ssaawa nga 4:00 ez’oku nkya ne ntuuka omwa Paasikaziya nga tansu¬ubira. Nnamusanze mukaziwattu yeeyanise mu kasana, yeeyenje mu ttaka ng'omusujja gumuluma okufaako obufi. Eky'omusujja okumugoya si y’embeera eyungula ezziga wabula buzzukulu bwe 13 bwe nnasanze bumuwalampa n'okumusikasikanya olw'enjala eyabadde nabwo ejula okubukuulamu ennimi! Abazzukulu 13 ng'asingako obukulu wa myaka nga 15 n'asembayo obuto wa myezi nga musanvu baabadde batunula njala njereere nga kyeyoleka lwatu nti baabadde baasuze makaya. Ku njala kwe bagasse okugubaasiira ku mubiri n'engoye nga singa bakubuuza ddi lwe baasembayo okunaaba , bw'ogamba nti wiiki nnamba tewali ayinza kukuwakanya! Engoye zo zirabikanga ziwezezza ssabbiiti nga ziizo nga tezikunyizibwa na ssabbuuni . Eno y'embeera gye nnasanzeemu Paasikaziya era bwe nnagenze okumubuuzaako bwe yasuze, okwandibadde ng'okunnyanukula, gaabadde maziga. Wandisuubidde nti abazzukulu we baabadde basikasikanyizza jjajjaabwe, nga ku masiga kuliko esseppiki y'obuugi wabula amasiga gaabadde meereere okuggyako mpozzi ekiseppiki ekyabadde ku masiga ku nsonda y'enju nga Paasikaziya yeefumbira eddagala Egganda okwejjanjaba omusujju. "Nnazaala abaana 12 kyokka w’ondabira wano nsigazza omwana omu yekka, abalala bonna mbaziise, bali awo mu bitooke! ", Paasikaziya bwe yantegeezezza. Omulenzi gwe yasigazza ye muggalanda Paul ow'emyaka nga 24 wabula asiiba ku kyalo nga yeeyiiya, talina mulimu gwa mu mikono oba obutendeke bwonna kubanga mu ssomeryawunyayo buwunya olw'ebbula lya fiizi. Paasikaziya agamba nti bba Mikayiri Kizza yamufaako mu 2010 era okuva olwo obulamu buzze bweyongera okumukaluubirira naddala olw'abaana be abazze bafa obulwadde bwa Siriimu. Yasituse n'andaga amalaalo ga mutabani we Lozio Tibulu 27 gwe yaakasembayo okuziika mu January w’omwaka guno eyamulekedde abazukkulu bana. Paasikaziya agamba nti talina ky'aliisa bazzukulu kubanga olusuku lwe omusana gwalwokya lwonna, ennimiro talinaamu wadde kikolo gya muwogo olw'omusana ogwememula mu kitundu kino ensangi zino. Kassukaali , Paasikaziya agamba nti bamala ebbanga nga tebakafunye Obuzibu bwa Paasikaziya si kuliisa baana kwokka wabula n'ebyokubabikka n'okubambaza abaana tebakirina, basula mpewo ate emisana kumpi bayita bukunya kubanga Paasikaziya talina mwasirizi. Agattako nti abazzukulu be baliwo ku bwa Katonda kubanga endwadde bwe zibagwira ayengayenga biragala n'abawa Mukama n'ayambira eyo! Nnavudde ewa Paasikaziya ng'amagezi gampeddeko ne njolekera ew'omukadde Harriet Kabundu, kyokka nayo kitokota si kisaanikire. Ennaku eri ku Kabundo eyoza lumonde! Kabundo agamba nti tebamanyi ddi lwe yazaalibwa wabula ebbanga ery'essawa nnamba gye nnamaze naye nga twogera ekifaananyi kye nnafunye kiraga nti atemera mu myaka nga 75 egy’obukulu. Mu bulamu bwe, Kabundo yazaala abaana mwenda kyokka abasatu baamufaako obulwadde buno n'asigazaawo mukaaga. Eby’embi ababiri kw'abo omukaaga, balina obulemu ku bwongo, abasigadde abana , nnamukadde Kabundo amaze emyaka n'emyaka tabawuliza era ye kyenkana ababala ng'abaafa! Ensibuko y'okuboonaboona kwa Nnamukadde Kabundo, ge gasajja gakaggwensonyi agaasooberera bawala be abalina obulemu ku bwongo ne gabazaalamu abaana ne babulawo, ekiseera bwe kituuka eky'okubazzaako nga gaddamu nga gasooba. Nnamukadde Kabundo ateebereza nti agasajja gamubaza agenze okusaka emmere mu byalo ne geesogga akayumba ke ne gafutubbala ku bawala be ne geekeja, ye alabiraawo nga mbuto! Omu ku bawala ye Edina Namanda ow'emyaka 20, agasajja gwe gaakakunkumulamu abaana basatu ne gabula era Jjajja (Kabundo) y’avunaanyizibwa ku buli kimu omuli n'okutuuma abazzukulu amannya. Omuzzukulu omukulu owa Namanda wa myaka ena n'ekitundu, addako wa myaka nga esatu n'asembayo wa mwaka gumu n'ekitundu. Omuwala omulala ye Erina Namata ow'emyaka 18 ng'eno agasajja gaamufumbiriza ne gamuzaalamu abaana babiri. Omwana omukulu wa myaka nga esatu ate omuntu wa mwaka gumu. Nnamukadde Kabundo yannyonnyodde nti bba omugenzi Eriazaali Kamuhanda yamufaako emyaka nga 10 egiyise era okuva olwo azze ettunka okusobola okukuza Namanda ne Namata n'abazzukulu wakati mu bugubi. "Ffe tumalako ne wiiki essatu nga tetufunyeeko kitole kya Ssabbuuni", bwe yagambye n'agattako nti n'akataala ka tadooba kaakala dda olutambi ne lusiriira olw'obutabaamu mafuta. Yagambye nti bayingira ssaawa 12 n'enkoko ne babeera mu nzikiza okutuusa buli omu otulo lwe tumubba ne bukya era omwana ne bw’akaaba ekiro , yennyula yekka n'asirika nga tebakoleezezza ttaala kubanga amafuta bamala ne wiiki ebbiri nga tebagafuna. Eby’okusula biwuniikiriza! Bbo kye bayita ebifaliso bwe budeeya bwe baatemeramu ebisubi ne bapakira ate essuula, ezo tebalina, ne bulangiti zaabwe ziringa ntuula ez'abayizi ze bategesa ensolo ez'omu nsiko. Ssukaali, Kabundo yagambye nti bawezezza omwezi nga tebamunywa kubanga ssente ezimugula talina, era obuugi bawuuta bukalu ate nga nabwo okufuna asooka kulimira abantu ennimbi ( okusaka). Kabundo agamba nti bw'alwaza abazzukulu oba bawala be, atambulira nabo ku mugongo Mayiro ttaano okugenda e Kaliro mu ddwaaliro lya Gavumenti okusobola okufuna obujjanjabi obwoleere kyokka nga nayo enfunda nnyingi tasangao ddagala. Bannamakadde Paasikaziya ne Kabundo, ne bamu ku bakadde abali mu mbeera embi abeetaaga okuyambibwa mu ngeri eyenjawulo. Uganda erina pulogulaamu ey'okugabira ensimbi abakadde abali mu mbeera embi abasussizza emyaka 65 okubayambako okweyimirizaawo. Pulogulaamu eno eyitibwa Senior Citizens Grant (SCG) yatandike mu 2010 , abakadde abasussizza emyaka 65 gye basasulwa 25,000/- buli mwezi okubayam¬bako okusitula omutindo gw'obulamu bwabwe. Abakadde 110,135 mu byalo 5,714 ezisigangibwa mu disitulikiti 15 kw'ezo 112 eziri mu Uganda ba basooka okuganyulwa mu Pulugulaamu eno, Gavumenti erina eteekateeka ey'okubunyisa Pulogulaamu eno mu disitulikiti za Uganda zonna omwaka 2018 we gunaatukira. Kyali kisuubirwa nti mu mwaka gw'ebyensimbi 2014/15 Gavumenti egenda kwongera ku bungi bwa disistulikiti okuva ku 14 okutuuka ku 24 kyokka tekyakoleddwa. 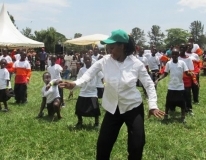 Ssente Gavumenti z'ewa abakadde ziva mu bitongole ebigabi by'obuyambi okuli UK Aid ekya Bungereza, Irish Aid okuva mu Ireland ne UNICEF eky'amawanga amagatte ebyawaayo ssente Pawunda obukadde 50 (eza Uganda obuwumbi nga 210) ezibadde zikosezebwa okuva mu 2010 wabula ssente ezo zigenda kuggwaawo omwaka guno (2015). Mu kiseera kino, Minisitule y'ekikula ky'abantu erina Pulogulaamu eyitibwa Expanding Social Protection Programme (ESPP) mw'eyise okulwana okulaba nti enteekateeka ya Gavumenti okuyamba abakadde abasukka emyaka 65 ebuna Uganda yonna. Abazungu abagambi b'obuyambi beeteefuteefu okwongeramu ssente mu Pulogulaamu eno wabula baagala gavumenti ya Uganda okulaga nti Pulugulaamu eno yeetagibwa nga nayo (Uganda) egissaamu ssente. Minisita avunaanyizibwa mu bakadde, Sulaiman Madada, agamba nti gavumenti eteekateeka okubunyisa Pulogulaamu eno kubanga mu disitulikiti 15 gy'esokedde , abakadde bangi obulamu bwabwe bukyuse kinene. 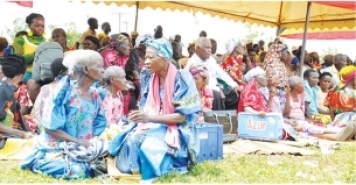 Mukono elderly want a share of the elderly grant. 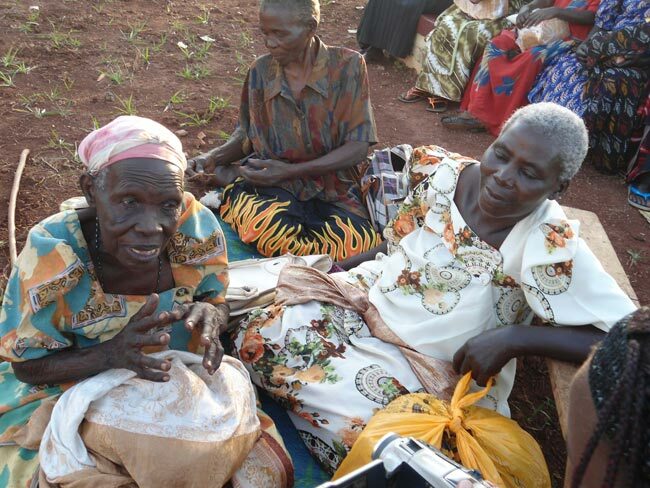 Elder people in Mukono district have asked government to speed up the process where they can benefit from the elderly grant which was launched by Government. The elderly claim they have a number of orphans who need assistance but they currently have no capacity to provide them with the basic needs. 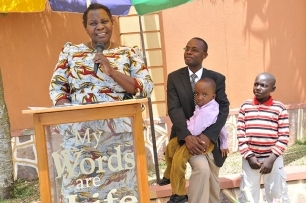 Speaking after receiving gifts from Life of Hope Aids orphans’ Child Care Ministries at the orphanage’s home in Namakwa village in Nakisunga sub-county in Mukono District, the elderly complained that they have never benefited from any government programme yet they are also Ugandans. “We heard about this money from radio stations but for us who love this government most have never benefited from any programme yet we have so many orphans depending on us,” one of the elder person Najjuka said.Wilson Ochwo the secretary of the village said Mukono has a large population of elder people yet most of them are leaving in a miserable life. “Their sons and daughters past away and left them with orphans but the situation they are leaving in is very miserable, the accommodation is very poor, the feeding is very poor ,some cannot educate these orphans so you find that they are really in a miserable situation. Ochwo asked government to use Local councils to track down on the number of elderly on the ground so that they can help them with their children.“Let all government programme also benefit the old ones, reach at the ground and also ensure that you help them,” Ochwo said. Pastor Christopher Kyobe the executive director of Life of hope Aids Orphans care Ministries observed that elderly people across the country have been forgotten yet they played an important role of setting a better legacy the country is moving on.“Much as my calling is about street children, many times elderly people in Uganda are not catered for, many times words are said about helping them but nothing is done on the ground.Many of them have no helpers yet they have orphans with no support,” he said. The Social Assistance Grants for Empowerment of Elderly people worth 40 million pound is being implemented by the Ministry of Gender, Labour and Social Development with support from UK Aid, Irish Aid and UNICEF. The scheme provides sh23, 000 per month to the elderly and other vulnerable groups such as child-headed families, single mothers and the disabled. It is being piloted for the next five years in 14 districts of Kiboga, Kyankwanzi, Mubende, Kyenjojo, Kyegegwa, Kaberamaido, Katakwi, Kole, Nebbi, Zombo, Nakapiripirit, Moroto, Amudat and Napak. beneficiaries through a mobile money system. A Makerere University don has asked the government to expedite the National Health Insurance Scheme in order to save lives, especially of the elderly poor, who can’t afford expensive treatment and care for the diseases afflicting them. Prof John Jean Barya, a lecturer of Law, said ailments such as cancer, diabetes, blood pressure and heart diseases are becoming common among the elderly but the cost of treatment and care is very expensive and many are therefore, dying. Prof Barya’s comments come on the heels of the delayed passing of the National Health Insurance Scheme into law. The scheme, which was proposed by the government in 2007, seeks to ensure affordable, equitable and quality healthcare services. However, the scheme has since failed to take off after sections of employees protested the move. But speaking during a thanksgiving ceremony to celebrate the lives of his parents, who are among the eldest couples in Ibanda District, Prof Barya said delaying to roll out the scheme is proving dangerous. “We are celebrating the lives and many years our parents have lived on this earth but it has not been easy. We have sacrificed a lot in terms of treatment and care. That’s the reason you see them living. 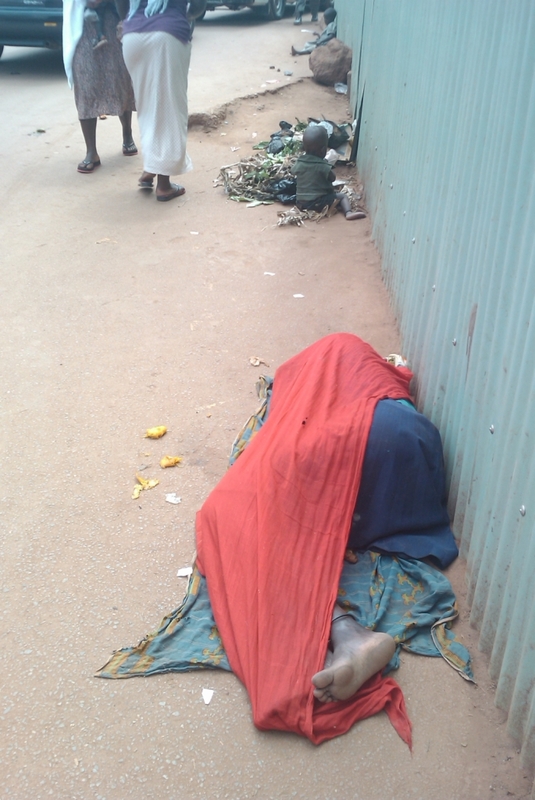 But how many families can afford this given the high poverty levels among households?” asked Prof Barya at the weekend. His father, Mr Marko Baryaharwego, is 92 years, while his mother, Ms Bridget Baryaharwego, is 89. The state minister for Works, Eng John Byabagambi, who attended the function, said the health insurance Scheme is very urgent but has taken long to be passed into law. “The health insurance scheme is very much needed in this country. The Bill is now before Cabinet and I also agree it has overstayed there,”Eng Byabagambi, who is also the Ibanda South MP, said. “But this is because it needs a lot of research, involvement and consultations. I am convinced anytime soon, it will be passed into law because most of these (consultations) have been done,” he added. The National Health Insurance Scheme was proposed in 2007 to ensure affordable, equitable and quality healthcare services progressively to all residents in an efficient manner through health insurance. The clause. Under National Health Insurance Bill, 2007, employees especially those in the formal sector (both public and private) are to pay four per cent of their monthly earnings to the insurance scheme. Additionally, their employers would also contribute another four per cent while those in the informal sector or those with no job will be mobilised under saving schemes where the same percentage would be deducted for the insurance. Research findings. A study by the World Health Organisation in 2008 revealed that Ugandans put 22 per cent of their earnings on health care and six per cent of the poor, who have the highest number of health bills, have to sell their assets to meet medical bills. EMBEERA z’abatuuze mu muluka gwa Kagugube yeeraliikiriza. Ekitundu kino ekiri mu divizoni ya Kampala Central kikyalimu amayumba ag’ettaka nga n’embeera y’obuyonjo mbi ddala. Kaabuyonjo zaabwe zikutte mu mbinabina, emyala micaafu ekiyitiridde ekiyinza okuvaako endadde ekiseera kyonna so nga n’obubbi bukudde ejjembe! Abatuuze beemulugunyizza nti n’ebiku bibali bubi nga kumpi buli maka galina ekizibu kino nga bagamba nti bagezezzaako okubifuuyira naye tebifa ne basaba KCCA ebayambe okufuna eddagala ettuufu. Abatuuze mu Zooni ya Kitamanyangamba ng’eno esangibwa mu muluka gwa Kagugube balumbye KCCA okubasuulirira. Ssentebe wa Kitamanayangamba, Darwin Ssebadduka agamba nti emyala giwomoggose nnyo nga tegikyatambuza mazzi. Amazzi galegama mu mifulejje ekivaako ensiri okwaluliramu ekibasibyeko omusujja. Ekitundu kino kirimu ebisuulo by’abayizi b’e Makerere, abasomero ku LDC n’awalala ng’ebisinga byasima ebinnya bya Kazambi bitono era bwe bijjula bitandika okukulukutira mu maka g’abatuuze. Batuuze bagamba nti ettendekero lya Law Development Centre (LDC) lye libalemesezza okuzimba obuyumba obukyamirwamu nti kuba lyasuubiza okubasasula litwale ettaka kwe bali nga lyagala okugaziwa kyokka waakayitawo emyaka 10 bukya babasuubiza kubasasula. Omwogezi wa LDC, Hamis Lukyamuzi yategeezezza nti ettendekero ku kyalo Kitamanyangamba lirinako kitundu kya yiika nga kino tekisobola kukyafuwaza kyalo kyonna. Yagambye n’ettaka lino likyakaayanirwa nga Daniel Wasswa yabawawaabira mu 2003 ng’agamba nti alina ekyapa era ettaka lirye ng’omusango kkooti tennagusala. Ssebadduka agamba nti ate enkuba bw’etonnya gujabagira kuba kazambi bamusumululira mu myala olwo abatuuze ne bafa ekivundu n’okusasaanira mu mayumba gaabwe. Kansala w’omuluka gwa Kagugube ku lukiiko lwa munisipaali, Badru Bwanika yagambye nti ebizibu by’abantu be KCCA ekyalemeddwa okubikolako. Investment. The Parliamentary Pension Scheme invested Shs1 billion to buy Shs4.1m shares in Umeme during the Initial public offering of the company in November 2012. The Parliamentary Pension Scheme has earned Shs165 million in dividends from its shareholding in power distribution company, Umeme Limited, the Daily Monitor can reveal. Ms Hellen Kaweesa, the Parliament spokesperson, confirmed the development, saying the investment in Umeme shares must have been reached after thorough consultations. The scheme invested Shs1 billion to buy Shs4.1m shares in Umeme during the Initial public offering (IPO) of the company in November 2012. At the time, the price of each share was at Shs275 but has since appreciated to Shs400 as of last week. The savings scheme covers MPs and staff in the parliamentary service. It was established in 2008 following the passing of the Parliamentary Pensions Act, 2007 and has doubled to Shs55.5 billion from Shs20.44 billion as of this year, according to the Auditor General’s Report on the Parliamentary Pensions Scheme’s Financial Statements for the financial year 2012. So far, the scheme has received three dividend cheques from Umeme amounting to a net of Shs141 million after tax. The value of their shares has also appreciated from Shs1 billion to Shs1.7 billion in less than three years. “As a member I think the investment in Umeme is worth it,” Ms Kaweesa said when contacted last week. “The trustee of the pension scheme (which is made up of MPs representation) must have considered all possible risks before investing. Besides, our pension scheme is an independent entity that takes independent decision for the interest of its members,” she added. Ms Jane Kibirige, the Parliament Clerk, told the Daily Monitor last week that she was out of the country and can only talk about the matter when she is back. “I cannot tell you anything or confirm anything because I am not in the country,” she said. MPs have been critical of NSSF’s investment in Umeme shares. Aruu County MP Odonga Otto, one of the critics of Umeme, refused to accept that the scheme where he is a member bought into the power distribution shares. “This cannot be true. Umeme is a broke company. “That information is not accurate. Somebody must be feeding you with propaganda,” he said. But on March 27 this year, Parliament recommended that the contracts of Umeme and Eskom be terminated. This followed recommendation of the Adhoc Committee on Energy on the performance of the electricity sub-sector in Uganda. The committee recommended that “the contract should be terminated” due to the gross legalities and manipulations encountered in the procurement of the Umeme Concession and the scandalous provisions of these power distribution agreements signed between Government and Umeme Limited. Last week, the Speaker of Parliament, Ms Rebecca Kadaga, named a committee of five to investigate the National Social Security Fund over alleged irregularities at the Fund, including its decision to invest in Umeme. NNAMUKADDE Bulaaki Ndagire eyeeyimirira Kabaka ng’abatizibwa era omu ku baamulera amusabye amuweereze abasawo n’obujjanjabi bwonna obusoboka nti kubanga embeera gy’alimu mbi ddala ate nga n’abasawo balemeddwa okuzuula ekimuluma. Ndagire 102 mutuuze w’e Ndoddo mu ssaza ly’e Ggomba nga Kabaka yamuzimbira n’ennyumba gye buvuddeko bwe yali agenze okulambula abantu be mu ssaza lino ku lunaku lwa Bulungibwansi ng’amwebaza olw’okumubeerera maama omulungi. Ndagire mu kiseera kino akuumirwa mu maka ga muganda we Aidah Nabaggala e Kawotto Kajjansi ku luguudo lw’e Ntebe gy’amaze emyezi musanvu ng’ajjanjabirwa. Omukadde ono yakwatibwa obulwadde obumukuba omubiri gwonna n’abeera ng’ayokeddwa omuliro n’oluvannyuma ebiba bizimbye bwe babitulisa n’abeera n’amabwa omubiri gwonna. Okusinziira ku muganda we amujjanjaba Nabaggala, Ndagire talina ky’asobola kwekolera wadde okwekyusa mu buliri nga buli kimu bakimusembereza busembereza n’okumutegula w’aba yeebase. “Tosobola kumukwatako nga tolina nkampa kubanga yenna avaamu amazzi, oluusi n’omusaayi ate omubiri gwonna ne we yeebakira ajjudde omusaayi n’olwekyo ali mu mbeera mbi ddala” Nabaggala bwe yagambye. Yayongeddeko nti wabula ebikozesebwamu ku kumujjanjaba tebabirina olw’okuba nga n’abasawo abamujjanjaba ba njawulo ng’abamu b’e Mmengo n’e Ntebe bakyalemeddwa okuzuula ekirwadde ekimuluma. Mu kiseera kino, Ndagire akyasobola okwogera n’okujjukira ebyafaayo naddala ebikwata ku kubatizibwa kwa Kabaka n’ebyaliwo nga Kabaka amukwasa ennyumba gy eyamuzimbira wadde ng’alina amabwa mu kamwa ne mu bulago era nga aliira mu kaseke emmere ennyangungu. Ndagire bwe yabadde ayogerako ne Bukedde yategeezezza nti Kabaka bwe yali alambula ekkanisa y’e Ndoddo n’okumukwasa ennyumba gye yamuzimbira yamubuuza ebintu bingi omwali n’okwagala okumanya abamuweereza nti kyokka olw’okuba teyazaala yamutegeeza nti alina omuntu amuyambako kyokka nga naye teyeesobola mu bye nsimbi. Nti Kabaka yeeyama okumulabirira mu ngeri y’okumujjanjaba nga kuno kwe yasinzidde okumusaba amudduukirire nti kubanga abamujjanjaba kaakati tebalina busobozi bumala. Eyalera Kabaka ali ku ndiri e Kajjansi Robinah Nakasaawe, mwana wa Nabaggala; Maama tetunnakoowa kumujjanjaba naye obusobozi butono ate nga yeetaaga ebintu bya bbeeyi, emyaka gye gigenze. Asaana kwegendereza ate n’emmere gy’alya tulina kugyegendereza asobole okubaako k’ateeka mu lubuto. Luli yali asobola okwewalula n’afulumako wabweru naye kati takyalina ky’asobola ate nga Maama abeera naye awaka ali omu n’akazzukulu akato akamuyamba bambi nako oluusi katya kubanga amanyi okutema emiranga ng’obulumi bumususse. Emiri Naluswata: Jjajja obulwadde bumuluma nnyo era oluusi nze ne Jajja tusula tutudde ng’alumwa. Tusaba abantu batuyambe afune obujjanjabi obumala ate era bwe wabaawo abasawo abasobola okumanya obulwadde bwa jjajja bajje batuyambe. Ministry of Finance, Planning and Economic Development has released Shs10 billion for the senior citizens grants and vulnerable family grants, outgoing Gender minister has said. Ms Mary Karooro Okurut made the remark while handing over office to her successor, Mr Muruli Mukasa, on Thursday in Kampala. Ms Okarooro said the money is to cover three sub-counties country wide. The grant scheme, under expanding social protection programme that has been running as a pilot project, provides a monthly Shs25,000 for the poorest elderly, the disabled and children. The programme has been piloted in 14 districts since 2010. The beneficiaries of the programme include the elderly above 65 years and other labour constrained households headed by the disabled, orphans and widows. Early, Mr Muruli also handed over the Ministry of Security to Ms Karooro. 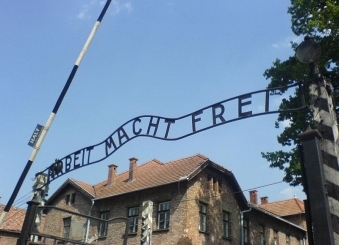 Auschwitz as of today as a museum place in Germany. Suzanna Braun, who experienced the horrors of the Holocaust and defied death at least three times, believes she survived because of her determination to save her sister -- and some divine intervention. There, the women were separated from the men. As her father was taken away to the gas chambers, he shouted his last words to her: "Take care of your sister!" Now 86 and living in a retirement home in Shoresh, a small village west of Jerusalem, Suzanna recalls every detail of how the women were stripped and herded into the "showers" where there was a faint odour of gas. It was only when the doors opened they realised they had cheated death. "They were out of gas," she told AFP in an interview as Israel began marking Holocaust memorial day and 70 years since the end of the war. "I didn't think about anything, only how to save my sister. Because father asked me to take care of her." "My hand stopped working," she said showing a pale, rounded scar. Looking around, Suzanna seized a wad of hay from their bedding and began putting pressure on her arm, she recounted. "It exploded like a geyser." "It was like providence," she said. Not long after, at a hospital in Danzig, Agi's life was once again saved by medical staff who amputated her gangrened feet. "The whole time, not my brain but rather divine providence worked for me," Suzanna said of her survival. "And I cooperated with that providence, with the sixth sense." That was when Suzanna decided to go public with the sisters' story by going back to her hometown along with filmmaker Yarden Karmin to document her story. The documentary, called "In The Third Person", is being given its first private screening on Wednesday, as Israel marks 70 years since the liberation of the camps and the end of the war. "This entire story is being told because I wanted to commemorate her," she said. "My last task is not to live well, go to the cinema and other frivolities – but to tell the story." All along it was about saving her big sister. "I wasn't afraid to die. It wasn't about me," she said, explaining that the film was a way of preserving her memory. "I wanted something to remain after her." MPs investigating the pension scam witnessed some emotion as pensioners whose money was stolen narrated how their photos were used to “siphon” more than Shs165 billion. The former employees of the East African Community that collapsed in 1977 nearly broke down as they came face–to–face with officials from Bank of Uganda and Cairo International Bank, whom MPs accuse of abetting the fraud that took place in the Ministry of Public Service. Silence gripped the committee room when the Public Accounts Committee chairperson, Ms Alice Alaso, asked Mr Darwish Osama, the executive director Cairo International Bank, to look into the eyes of “the miserable pensioners” whom she said have endured years of agony because of the fraud. Five senior citizens Obura Ogwal, Godfrey Odida, David Muloki, Jimmy Busulwa and Mr Abdallah Tebaabe, appeared before PAC where they recounted how “thieves” played with their money. Mr Ogwal said in 2010 he submitted his documents to the Ministry of Public Service for payment of Shs75 million but nothing came through. 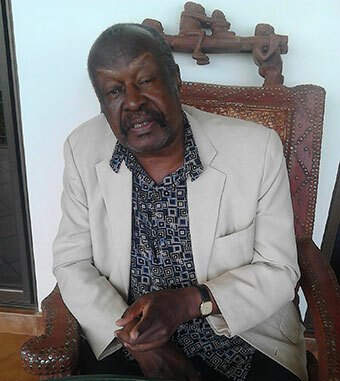 “I went to Public Service and they told me the [former] Commissioner for Pensions, Mr Kiwanuka Kunsa had stopped any payments to former EAC workers because we were paid,” Mr Ogwal said. Mr Odida told the committee that Shs81 million was paid to a one Ludovico Losonto under whose name was his picture yet the names, the bank account and the rest of the details were not his. Mr Busulwa’s photo was given to Hanington Basajja Kambwe and was paid Shs75m and Mr Tibaabe’s photo was given to a one Andrew from Mpigi yet he is from Mukono District. Mr Odida requested Ms Alaso to allow the Cairo Bank lawyer, Mr Enos Tumusiime, who was their boss at Uganda Railways Corporation, to tell the committee how he feels about their misery. Mr Tumusiime said he feels very bad, but explained that he left in 1996 and that all employees were getting their pension at the time. Deputy Governor, Mr Louis Kasekende and the director, commercial banking, Mr Benedict Sekabira came under pressure to explain what the MPs called the bank’s failure to supervise Cairo Bank. Mr Sekabira told the committee that they inspected CIB, raised the red flags and removed the CIB board of directors before the pension scam. Mr Osama said some staff at the bank fear to come and testify for fear of being killed by “the thieves”. ABABAKA baagala kulinnyisa emyaka okugabirwa ssente za bakadde girinnyisibwe okuva ku 65 okutuuka ku 80. Biri mu lipooti eyanjuddwa ssentebe wa kakiiko k’ekikula ky'abantu mu Palamenti, Alex Ndeezi bwabadde ayanjula lipooti ya kakiiko. 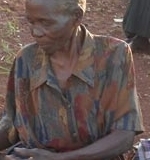 Alaze nti emyaka gyetaaga okullinyisibwa okutuuka ku 80, kyokka mu disitulikiti ze Karamoja emyaka gisigaleyo ku 60 nga bwe kibadde. Mu nkola eno buli mukadde aweebwa 25,000/- buli mwezi. GULU. 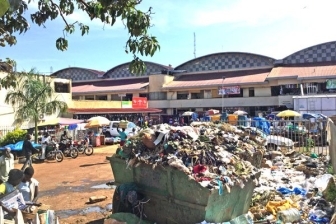 In 2008, National Environment Management Authority (Nema) earmarked Shs2.5 billion for the construction of a recycling plant in Gulu District but the project has since stalled, 10 years later. By constructing the plant, the government hoped it would convert the municipal solid waste into manure to be sold out as fertilisers to farmers. The abandoned site is at Pawor Village in Patiko Sub-county, 11 kilometres from the centre of Gulu Town. Laroo, Bardege, Layibi and Pece divisions are the major areas where most garbage is generated; it is currently being dumped at a landfill in Laroo Division, which is also filled up. The municipal officials up to now are silent on the plant that was meant to bridge the gap. “We are not given clear reasons as to why the plant stalled for all this long. In some areas, the locals have resolved to dumping garbage in drainages since there is no way out,” Mr Abonga says. Mr Alfred Oluba of Layibi Division, who shares a similar plight, adds that waste management is a big threat among the populace. “Plans are underway to have garbage points in most trading centres but after the collection, what happens?” he asks. “We are at crossroads, municipal officials who should have been at the forefront to follow up on the matter are also not doing it,” Mr Oluba says. Mr Richard Nyadru Anyama, the principal health inspector for Gulu Municipal Council, says although the cost of putting up the facility was valued at Shs2.6 billion, they have since received less than Shs1 billion. “With the funds released, we secured 10 acres of land, fenced it off and put in place a borehole. Nema gave us a wheel-loader, a tractor and a garbage truck,” he says. He says the cost of putting up the plant was being centrally managed by Nema that immediately ran out of funds before completing it. “Nema officials told us that they were outsourcing for funds. They also tasked us to outsource for funds as well to get the plant done,” Mr Nyadru says. Mr Nyadru, however, warns that if the current landfill is not upgraded, it will last less than a year before the town can sink in garbage. “We have also written concepts looking for funds from non-governmental organisations to seek an intervention over this. The landfill we have been using for the past 10 years in Laroo Division is getting filled up,” Mr Nyadru says. The landfill at Laroo sits on a six-acre piece of land. The Nema senior public relations officer, Mr Tonny Acidria, says the project stalled due to miscalculations in the design of the facilities. “We had eight of them being constructed but only three got completed. The five failed along the way including Gulu because we ran out of fund,” he said. NEMA with financial support from the World Bank established Municipal Solid Waste (MSW) compositing plants in which Gulu was part of the 13 municipalities to benefit. Even though Mukono, Jinja, Mbale, Soroti, Lira, Arua, Masindi, Hoima, Fort Portal, Kasese, Kabale and Mbarara municipalities have their facilities functional, that of Gulu has since stalled yet the land to set up the facility was secured five years ago. Okwogera bino basinzidde mu lukiiko lw'okusisinkana ssentebe, George Mutabaazi olugendereddwaamu okulondoola oba buli ssentebe w'ekyalo yafuna akasiimo ke ak'omwaka guno. Bano nga bakulembeddwamu Mudashiru Kafuuma baagala Mutabaazi abatuusize okusaba kwabwe eri Pulezidenti Museveni nabo bongezebwe omusaala. Bagamba nti be bakyasinze okutoba n'ebizibu ebigwa ku bitundu byabwe omuli okumalawo ettemu, obubbi bw'ebisolo n'ebirime kw'ossa n'ekisaddaaka baana ekyali kikyase mu Lwengo. Mutabaazi abasekeredde olw'obutaawula akasiimo n'omusaala kuba akasiimo tebakasaba kuba kaba ka kyeyagalire n'abawa amagezi okuddayo basome basobole okwesimba mu bifo ebya waggulu bave mu kululunkanira okubongeza omusaala. Wano asabye abo abanayitamu ku bwasentebe bwebyalo obubindabinda obutettantala kumubonyaabonya kuba abamu ku bassentebe babadde bayitirizza okwenyigira mu bubbi bw'ettaka so nga abamu bakaddiye tebakyasobola kukola bulungi emirimu gyabwe. Mu ngeri y'emu Mutabaazi atadde etteeka ku bassentebe abanaayitamu okuzimba kaabuyonjo mu maka gaabwe nga bukyali n'okusimba muwogo nga beetolooza ensalosalo z'ebibanja byabwe ataakikole waakukubibwa kibooko oba okugobwa ku kyalo. Obukadde 54,480000/- ze zaaweebwa bassentebe b'ebyalo okwetoloola disitulikiti ku ntandikwa y'omwezi guno. The absence of good sanitary facilities exposes the public servants to hygiene-related illnesses such as typhoid, dysentery and cholera. 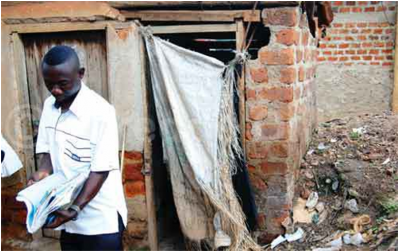 Hoima district local government headquarters at Kasingo cell in Hoima municipality lacks toilets and sanitary facilities for its staff because they are out of use. Sources say the two flush toilets have not been functional for about a year after they were blocked due to poor usage and lack of water. New Vision visited the office headquarters on Friday and found all toilet doors with inscriptions reading “flash toilets out of use, use outside latrine. By management”. This has forced the district officials to resort to utilising the abandoned pit latrine located a few metres from the office block. 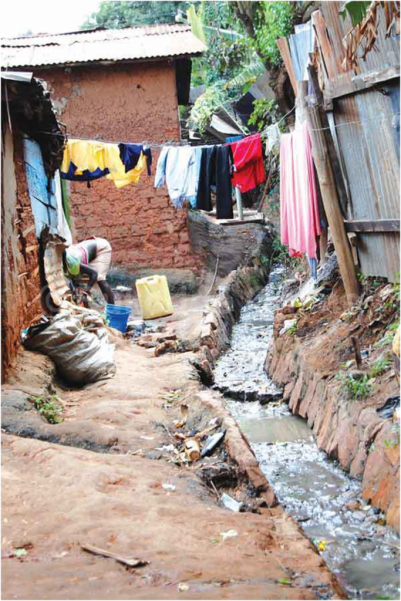 A source on condition of anonymity, said it has on most occasions compelled the over 70 public servants who cannot use the unclean pit latrine at the district headquarters to trek for more than two kilometres in town to find a place of convenience. A district official said they register complaints from workers and visitors that whenever they visit the district offices, they find it difficult to answer nature's call because the sanitary facilities are out of use. A source said some important visitors who come to the office when in need of convenience are advised to go to the hotels in town or the available pit latrines in the neighbourhood. On Thursday the district hosted the 2017 Best Performers Awards ceremony. Some guests were seen making efforts to utilise the existing flush toilets, but failed after reading the ‘out of use’ notice. Jackson Mugenyi Mulindambura, the district secretary for health and education, admits the problem and promises that it will be handled urgently. Mulindambura said the absence of good sanitary facilities exposes the public servants to hygiene-related illnesses such as typhoid, dysentery and cholera. Another district official who preferred not to be named said the existing pit latrine is always dirty since it is accessed by the surrounding community. The source also observed that the toilet has no tissue, soap and water for use although they are usually put in the budget. Efforts to get a comment from Nathan Lujumwa, the Chief Administrative Officer, were futile by press time. Bernadette Plan, the Hoima district Secretary for Finance and Planning, said the problem could be due to water shortage. Perez Kyomuhangi, the acting district information officer, said the flush toilets were closed due to low water pressure, adding that the problem is to be fixed soon. Raphael Magyezi ng'annyonnyola ebibadde mu kakiiko nga afulumye okuva mu kakiiko. Omubaka ono alumirwa nyo abakadde obutabasosola mubyobufuzi bya Uganda. Kwegamba wamala gawandiika etteeka nga omanyi nti omufuzi aganidde mubuyinza bw'ensi Uganda, nga naye bwayagala enyo etteeka lino, aja kuwaliriza Parliament emale galiyisaamu oba Parliament ya Uganda eyagala oba teyagala? Ate lwaki toddayo nga etteeka lyo eddungi ffe nga abakadde abemyaka 70 nomusobyo obadde otuwolereza tufuuke ko abafuzi bensi eno. Kakati oyagala kutuleka mu banga? Oba otuzanyira kubwongo nomala gawandiika wandiika ebitali bituufu mu mateeka ga Parliament. Bruno Mugumya agambye nti enkola eno yeemu ku biviiriddeko abaana abaliko obulemu obutafuna mukisa kubeera mu ssomero ne bayisibwa ng'ekitagasa mu ggwanga. Bruno okwogera bino abadde asisinkanye abayizi abaliko obulemu ku kisaawe kya Katwe Liberation square mu munisipali ye masaka. Bruno agasseeko nti okukuumira omwana ow'ekikula kyonna mu ssomero kibeera kirungi naye abakulu b'amasomero bwe banaagenda mumaaso n'enkola eno ey'okuwanika ebisale by'essomero kijja kwongera okuleetawo obumenyi bw'amateeka olw'abaana okubulwa kye bakola ate nga tebali mu ssomero. Mungeri yeemu Mugumya asabye gavumenti wamu n’abakulira eby’enjigiriza mu Masaka okuvaayo obunnambiro okuzimbira abaana bakiggala etendekero ly’eby’emikono kibasobozese okwetandikirawo emirimu. Wabula bbo abakulira amasomero ag'abaana abaliko obulemu mu kwanukula Mugumya bategeezezza nti kino bakikola olw'okusobola okufuna ensimbi ezinaapangisa abakugu olw'ensonga nti bano abaana tebasomesebwa buli muntu. WORK PLAN FOR BUKADDE MAGEZI FFENNA TUKULAKULANE ASSOCIATION FOR THE PERIOD 2013-2014. The above association started way back at the beginning of 2012 with twenty members, whose names we do not wish to disclose, who came up with an idea of working together as volunteers to help the eldely. Afterwards more objectives were added that included other activities that would help in boosting our financial levels. In this way our mission has expanded and our ambition is being fulfilled. We as Association members have tried our best to do several activities together as an Association and also as individuals and thus learning more from each other. 1.Welding although still using or hiring from another person’s workshop. 2.Baking cakes and preparing snacks. Because of limited finances as earlier stated, this has hindered us from expansion of our activities. We have got hope that in the future with Government assistance through community development programmes under the Kampala City Council Authority, we shall succeed. Below is our future planned activity table. With the expectation of the Government Grants in case we are supported, we expect to achieve higher. We hope also to venture into more vocational training skills in order to help our youth members and the community we are in, in trying to transform their lives and change their attitudes towards work so that they embrace hard corrective work as one of the channels of transformation of their lives for the better. 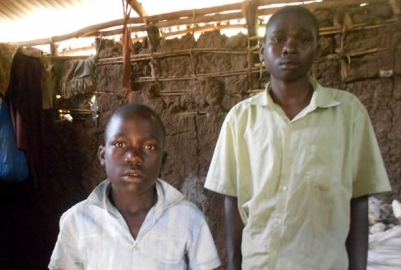 Livingstone Ssempebwa (L) and Francis Ssekatawa in their makeshift shelter in Kikooba village, Bukomero Sub-county, Kiboga District. At Kiboga, Luwero, Buganda State, Uganda. They are 17 and 14 years old respectively, but grief, neglect and misery are painted on their faces. Life’s circumstances have made Livingstone Ssempebwa and Francis Ssekatawa adults since they were little. Ssekatawa and Ssempebwa might need rain to grow food but they cannot smile whenever skies open as the roof over their makeshift shelter is wide open. 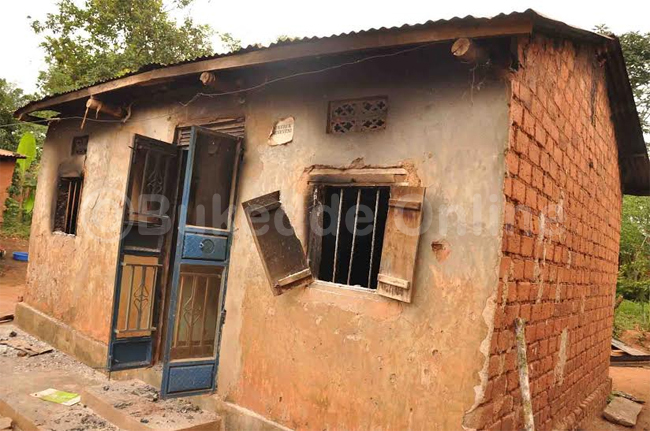 Their house in Kikooba village, Bukomero Sub-county, Kiboga District is soon collapsing on them. “Our mother died and left us here,” Ssempebwa says. By the time she died in March this year, she had separated from their father. The boys had watched as their father repeatedly battered their mother. She later quit the marriage, constructed the makeshift house where she lived until she died. 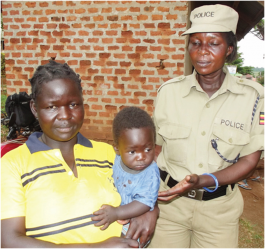 Ssempebwa and Ssekatawa were left helpless even when their father married a widow a couple of kilometres away. “He doesn’t care about us,” says Ssempebwa. Their neighbour contacted a local charity organisation; Education and Development Opportunity – Uganda (EDOU), which provides education sponsorships to vulnerable children. With EDOU’s support, they returned to school. Ssempebwa says he wants to enroll for a motor vehicle mechanics course. However, Mr Brian Mutebi, EDOU’s founder, says the organisation does not have enough funding for him to get his dream. “I appeal to individuals and companies out there to support efforts of reconstructing the lives and dreams of these children,” Mr Brian says. “Our immediate need is to build a house for them because the makeshift structure they are living in could soon collapse on them,” he says. For help: Mobile money number is 0782378219. In May this year, the government gazetted the Persons with Disabilities Bill, with the aim of repealing and replacing the 2006 act with a more progressive legislative framework. 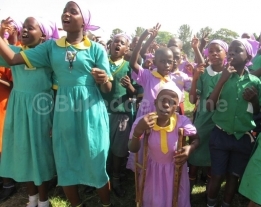 This bill results from engagement between the persons with disabilities (PWDs) in Uganda and the government, in a bid to achieving full realisation of both the 1995 Constitutional guarantees as well as domesticating the United Nations Convention on the Rights of Persons with Disabilities (UNCRPD). By gazetting the bill, the government is exhibiting her commitment in promoting the rights of PWDs. The objective of the bill is to replace and reform the law relating to PWDs and to operationalise Article 35 of the Constitution. But many analysts feel this might not be achieved if the bill is passed in its current state. For instance, the bill refers to the operationalisation of Article 35 of the 1995 Constitution. Whereas this is not necessarily negative, disability experts find this prohibitive and limiting. The rights of PWDs are human rights in the first place, and the essence of the bill should be to fully operationalize the Constitution in relation to PWDs. As a means of showing the urgency of the matter, PWDs, on July 11, presented a petition to Speaker of Parliament Rebecca Kadaga. A key aspect in the petition is affirmative action, which is enshrined under Article 32 of the Constitution. A bill of this nature would be best-placed to operationalize the spirit of the Constitution as it applies to PWDs as a whole, as well as to domesticate the rights and guarantees under the CRPD. In this regard, therefore, the narrow focus on Article 35 of the Constitution is a substantial and essential shortcoming of the bill. The bill also places emphasis on what private persons and entities should or should not do, rather than what the state should or should not do. The reference to private actors is very important, especially given the provisions of Article 20 (2) of the Constitution, which is to the effect that human rights must be promoted and respected not just by the state but by all persons. This is important given that private actors have in the past been, and continue to be, responsible for some of the most violations of the rights of PWDs in Uganda. But placing emphasis on the duties and responsibilities, as well as potential culpability, of private actors alone amounts to abdication of government responsibility. A case in point is that Section 6 of the bill (non-discrimination in the provision of health services) exclusively aims at private schools or institutions. There is only peripheral responsibility for the government in the context of schools that are actually ‘owned or aided by the government’. This is a narrow conceptualization of ‘discrimination’ under this section in so far as it does not seem to incorporate the UNCRPD position, which recognizes that failure to provide reasonable accommodation itself constitutes discrimination. A similar trend is apparent with regard to Section 10 of the bill (Non-discrimination in provision of transport services), which is exclusively directed to private actors, with little regard to the affirmative responsibility that may arise for the state in this regard. Where the obligations of the government are entailed or where an attempt is made to articulate a broad protection that includes both state and private actors, the rights are stated in narrow terms, which fall short of both national and international legal positions. Section 7 (non-discrimination in the provision of health-services) is more progressive than Section 6, especially when it is read together with Section 2. But just like Section 6, the obligations are narrow ones, relating mainly to physical accessibility of the premises and to provision of accessible labour beds for pregnant women with disabilities. The current bill, therefore, appears to be informed by fear of the economic implications that might be entailed by a bill that fully respects, promotes and protects the rights of PWDs. This is evident in the careful language employed in the current bill that is specifically aimed, as far as possible, to restricting the range and scope of obligations of governmental agencies with regard to the rights of PWDs. In her response to the petition, Margaret Komuhangi, who received the petition on behalf of the speaker, acknowledged the gaps. She promised to facilitate the process of overhauling the current bill in order to meet the aspirations of PWDs. It is thus prudent that members of Parliament, especially those representing PWDs as well as DPOs, join hands to ensure the disability movement realises an effective legal framework. The writer is a communications manager at NUDIPU. It’s 11am on a sunny Saturday at Ngandu village in Mukono municipality’s Central division; hundreds of people are gathered, while others march to loud brass band music. But in the crowd, Concepta Naluyima is carrying a quiet seven-year-old boy on her laps. Before she moves away, she must carefully hand William Darlington over to another person because he cannot stand on his own. Darlington was born with spina bifida and hydrocephalus. Spina bifida is a birth defect featuring incomplete closing of the backbone and membranes around the spinal cord. According to John Paul Tebita, a medical officer at Ishaka Adventist hospital, the major cause of spina bifida is not known. He adds that chances of survival for a child born with this disorder are very minimal because facilities for taking care of the child are very expensive. Pregnant mothers are advised to take Fefo, a drug which contains iron and folic acid whose deficiency is also considered a key factor. “When you lack it [folic acid] completely, the newborn baby has to get that congenital disease,” Tebita explains. Hydrocephalus, which Darlington was also born with, involves abnormal accumulation of cerebrospinal fluid in the brain. The condition causes increased intracranial pressure inside the skull and may cause progressive enlargement of the head if it occurs in childhood, potentially causing convulsion, tunnel vision, and mental disability. Fortunately for Darlington, he was treated. 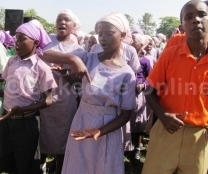 Naluyima brightens up a little as she reveals that “he reasons” like a normal child. She recalls that as soon as she delivered Darlington in Lubaga hospital, doctors took him away. Naluyima was later advised to take the baby to Cure children’s hospital in Mbale, where he was operated. He is now in primary one, but his parents don’t know if he will ever be able to stand on his own. But they have hope. And so today, Naluyima has come to Ngandu to attend the launch of Joy Uganda, a subsidiary of the United States-based Joy Center for the Disabled. Joy Uganda has a learning center, a proposed vocational school, a library and first aid/nursing room. They also provide special education and counseling through home visitation services for children with disabilities who are not able to go to school. At the launch, the central government is represented by Richard Kityo, a rehabilitation officer from the ministry of gender, labour and social development. He says that since government programs may not reach every PWD, Joy Uganda would help bridge the gap. Joy Center for the Disabled was founded by Dr Daniel Kim after his wife gave birth to a girl, Joy Joan Kim, with Down syndrome. According to Dr Geoffrey Rwabaingi-Mulindwa, the director of medical services at Uganda Christian University, Down syndrome can result into mental retardation and delayed physical growth. Joy’s mother, Rim Kim, was told by doctors about the condition of her would-be child when she was three months pregnant. They were advised, by colleagues, to abort the child. Joy’s condition forced Daniel to resign from his full-time job as a pastor in Los Angeles to concentrate on his child’s health. “Back home in Los Angeles, people think disability is a curse. But my husband and I said that this is not the way God created us. We have to live together with those who have disability because God gave them to us,” Joy’s mother said. 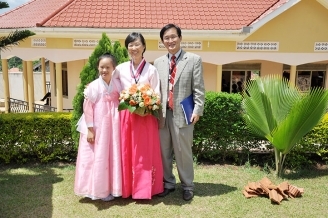 When the baby was about three years, Rim and Daniel started hosting parents of children with disability at their home. They could discuss and advise one another on how to handle such children and how useful and resourceful they could be to society. From such gatherings, the ministry, with branches in the USA, Mexico, Philippines, Vietnam, China and Uganda, was born. For now, Daniel and his family of three children say they have sold all their property in Los Angeles to dedicate their lives to helping Uganda’s disabled. Asked as to why they chose to have their only branch in Africa base in Uganda, Rim said they were attracted by Uganda’s legal framework on disability. Rim speaks highly of the Disability Act 2006; the 2003 National Council for Disability Act, which provides a mechanism to monitor disability-sensitive implementation of all development programmes, and the Disability Policy 2006. Like Daniel and Rim, Darlington’s mother Naluyima also operates a community-based organization in Bweyogerere, where she meets with parents of children with spina bifida and hydrocephalus. They advise one another on how to handle such children. 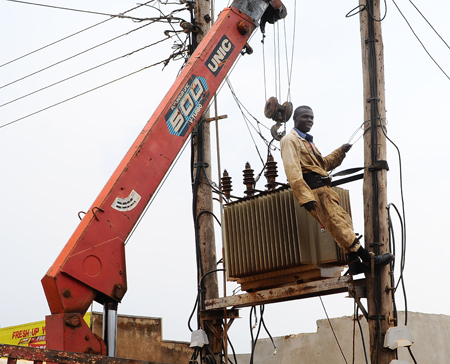 Government of Uganda and the current Uganda Electricity distribution contractor (UMEME) are sued in the courts of law, Kampala, Uganda. A Ugandan citizen has dragged the government and Umeme to the High court, contesting the manner in which the power distribution company got its concession in 2004. Rashid Kigemuzi claims that on November 26, 2006, the government and Umeme, through some prominent persons, illegally and fraudulently increased the loss cap from 33 per cent to 38 per cent, for purposes of compensation. Through Balondemu, Candia and Wandera Company Advocates, Kigemuzi claims that since 2004, Umeme has falsified its levels of investment in the distribution sector. It has, he argues, claimed to have invested Shs 32bn, yet the real investment has not exceeded Shs 16bn. “The plaintiff [Kigemuzi] shall contend that the concession agreement is contrary to public policy as far as it inhibits government’s right to terminate the agreement. It renders government liable to compensate Umeme for its own default. And it also erodes government’s qualified and absolute sovereignty over national assets,” the plaint reads. Kigemuzi argues that during the tendering process, Umeme was not among the six bidders, since it had not yet been incorporated – only to be given a 20-year lease on May 17, 2004, eleven days after its incorporation. He says that during the drafting of the concession, the government hired Hutton and Williams as well as Shonubi, Musoke and Company Advocates, as external and internal transaction advisors respectively. But at the time the concession was signed, Kigemuzi says, the latter were directors in Umeme. To date, they continue to be the company’s external legal advisors – a case of conflict of interest. He contends that the power distribution concession is illegal, since the attorney general was not the one who drafted it on behalf of government but, rather, a private legal firm. Kigemuzi, who accuses government for deliberately ignoring a parliamentary resolution to have the concession terminated, wants court to nullify it. He wants court to order Umeme to refund all monies it has “fraudulently” got as compensation through“falsified losses”. This clearly shows that we still have sane people! In professional ethics and practice, bureaucrats especially public servants are suppose to exercise due diligence. But in Uganda, our bureaucrats especially the Attorney General's (AG) Office, deliberately exercise due negligence. That is for purpose of colluding with legal suit vultures and hyenas, who are scrupulously on the lookout for loopholes in contracts, and in both memorandum of understanding (MOU) and also memorandum of misunderstandin g MOM). Like for example the recent back and forth handing over, and withdrawing of Buganda land titles, by the Attorney General, Peter Nyombi. Therefore, if Mr. Rashid Kigemuzi is suing the government and Umeme for the right motive, then Uganda desperately needs a nitpicker like him: Someone who is keen enough, to expose unscrupulous, unpatriotic Ugandans; who join forces with foreign criminal elements to rip off Ugandans. But if it's not for the right motive and purpose, to save taxpayers' money; then Uganda has become a cash-cow for the local, international and the executive crooks in government to milk it to death. After which other vermin and scavengers: hyenas, jackals, vultures, Kaloli, stray dogs (refugees & illegal immigrants) etc., will clean her up to bare bones, while the rest of world looks on void of sympathy. I wish you success Mr.Kigemuzi. Indeed these are are the issues some of us have stressed to the likes of Mwenda that once a company comes through illegalities it lives and does business as a thug and that's Umeme for you. They "perform" mistakes on bills and never correct them once it's a benefit to them,then you get NSSF squandering our funds into such "bets",God save Ug. Dear Mr. Rashid Kigemuzi, you may be right, and you are definitely brave, but please be careful! You may be trying to slaughter M7's many "milkig cows". He will defend her tooth and nails. You are personally vulnerable. Mr Rashid Kigemuzi, we the noble ugandans are behind you. May be you will be our messiah to liberate us from these vultures called UMEME. NNAALONGO Sumayia Nakanwagi omutuuze mu Sserwadda Zooni e Lungujja addukidde ku poliisi n’abaana be mwenda n’agisaba emuyambe ku baana ba bba abaamugobye awaka. Nakanwagi yategeezezza nti mu ddya lye yasookamu ewa bba Jamir yazaalayo abaana mwenda era nga mwalimu abalongo ba mirundi esatu. Jamir yalaba azaala nnyo n’amuddukako. Yafuna omusajja omulala ayitibwa Ssaazi Ssebusolo eyamuwasa era abadde tamujuza mu buli mbeera nga yamusuubiza n’okumulabirira n’abana be. Abadde yamuzaalamu omwana omu naye abaana ba Sebusolo bwe baalabye kitaabwe ng’agenze ku safaali ne bamutabukira ne bamukuba emiggo nga kwe batadde okumusamba ne bamugoba n’abaana be mu nnyumba. Akulira poliisi y’e Lungujja, Robert Omara yasabye Nakanwagi okudda awaka n’abaana be alinde bba akomewo ku safaali ensonga bazitunulemu. Yamulagidde amukubire essimu singa abaana baddamu okumukolako effujjo. A UGANDAN CITIZEN HAD TOO MUCH DRINK IN THE TROPICAL CLIMATE. BULI kimu n’empeera yaakyo. Omusajja yagenze ku mwalo gw’e Namirembe e Kyannamukaaka ne yeekamirira omwenge ogwamusibye enkalu okukkakkana nga gumumezze mu musenyu n’atandika n’okufuluuta ng’eno abavubuka bwe bamwemoolerako. Ms Dorcus Aceng with her children in Apac District. Despite change of environment, the children are still confused and upset. Three children from Barcal A village in Aber Sub-county, Oyam District have developed a new dialect after being confined in a house for about seven years. The new language, has been nicknamed Leb-adam, literally meaning language of the brain, by the community. It is alleged that the children’s father, Mr Nickolas Ameny, 43, confined them to protect them from danger. The children, Janet Amongi, 11, Morris Okello, Nine, and Lillian Akullo, Seven, are normal but cannot speak to other people. They only believe what their father tells them. According to their mother, Ms Dorcu Aceng, the children survived on a diet of boiled frog eggs and greens, eaten every morning and evening and drank water from a hole dug by their father. They would only move out of the house when going to a nearby garden and get back to the house immediately. Ms Aceng said her husband barred her from speaking to the children, as a result, they could not learn the Luo language when they were younger. “He locked them up in the house and flogged them claiming he wanted to protect them from the dangers of the outside world,” Ms Aceng said. The mother said she was threatened in case she told anyone. The couple got married in 2003 and shortly after their first child, Mr Ameny reportedly started behaving weirdly. They have four children but the last born was taken by their mother. “ I thought he only feared responsibility and I tolerated him but things went on like that to date. He has denied children the right to clothing, education and socialisation,” Ms Aceng said. Mr Jonathan Odur, the deputy executive director of Facilitation for Peace and Development (Fapad), said government should follow up areas where communities have returned to their homes as such cases could be overwhelming in villages. “It is shocking news to us, but we cannot rule out the effects of the long war in the region. People are still traumatised thus calling for more counselling services in the war-affected regions,” Mr Odur said. 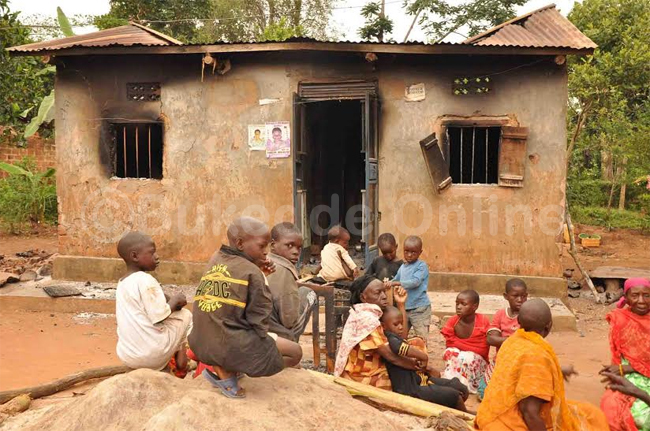 Mr Willy Ojok, Barcal village chairperson, said they knew about the plight of the children, but they could not rescue them because of their father’s violent behaviour. “Two weeks ago, he fought traffic police officers... They ran and abandoned their motorcycle,” he said. Last weekend, their mother picked the courage when her husband was away and escaped with the children. They are now staying with their grandmother, Ms Middy Ebu, in Apac District. Mr Ameny said he was only protecting his children from “wrong people”. “I never wanted my children to learn bad manners or get exposed to diseases. Nobody has the right to tell me what to do with my children,” the 43-year-old said. Or how they should be groomed,” he said. Psychiatrist Florence Auma recommends that the couple be taken to Lira Mental Health Unit for medical assessment while the children should see a psychologist for support, which FAPAD has offered to facilitate. POLIISI e Kayunga etubidde n’omukazi kiggala n’omwana we abatamanyiddwa gye baava nga kati bamaze naye wiiki ssatu. Atwala ensonga z’amaka n’abaana ku poliisi e Kayunga, Florence Acheru yagambye nti omukazi ono yaleetebwa takisi n’asuulibwa e Kayunga abazirakisa ne bamulonda ne bamutwala ku poliisi e Kayunga. Acheru yagambye nti omukazi ono obumu ku bubonero bw’akola tebabutegeera, tayogera ate n’okumuliisa kifuuse ekizibu. Yagambye nti obumu ku bubonero bw’akola alaga nti yaleetebwa takisi kyokka yali asumagira n’emuyisa we yali ateekeddwa okukoma ne bamuleeta e Kayunga ne bamulekayo. Omutabaganya wa poliisi n’omuntu wa bulijjo Samuel Masolo e Kayunga, yagambye nti omukazi ono agamba nti alina abaana munaana kyokka yatambulako n’omu ekimweraliikirizza.